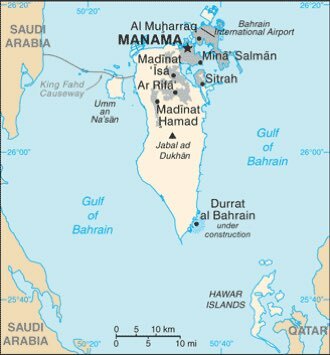 Bahrain : When and where to go? Deserted by a desert climate with prevailing winds from the northwest, this country has only two seasons: a summer which roughly ranges from May to October, with temperatures sometimes exceeding 40 ° C during the day and wet days , As well as sand storms, and a winter from November to April, where the averages are between 20 and 25 ° C.
You need a valid passport and a visa to stay on the territory. The visa granted is one week but may be extended by one month. The international airport is less than 10 km from Manama, and a direct flight from Paris takes you in just over 6 hours. The current currency is the Barbadian Dinar (BHD). To spend a satisfying holiday, you will need between 100 and 150 € per day for accommodation and food. If you just want to get around town, taxis are very convenient. To visit the whole country, renting a car seems to be the best solution, especially since the road network is of very good quality. The capital, however, faces enormous traffic jams. For your shopping, you will have the choice in Manama between the traditional souks where to find the local handicrafts, and the shopping centers where all the western signs are known. In Bab Al Bahrain Street, over one hundred shops sell gold or silver jewelery. Health and safety: there is no particular health risk, and the health facilities are of a very correct level. It is advisable to protect yourself from the sun and possible heat shocks, to drink only bottled water, and to have your classic vaccinations up to date. As regards security, it is not advisable to go to the south of the island, which is a military zone. Good to know: Do not eat, drink or smoke in public during Ramadan. Do not take women in photos, and ask permission to photograph the men. Adopt a decent dress. The weekends are Thursday and Friday.